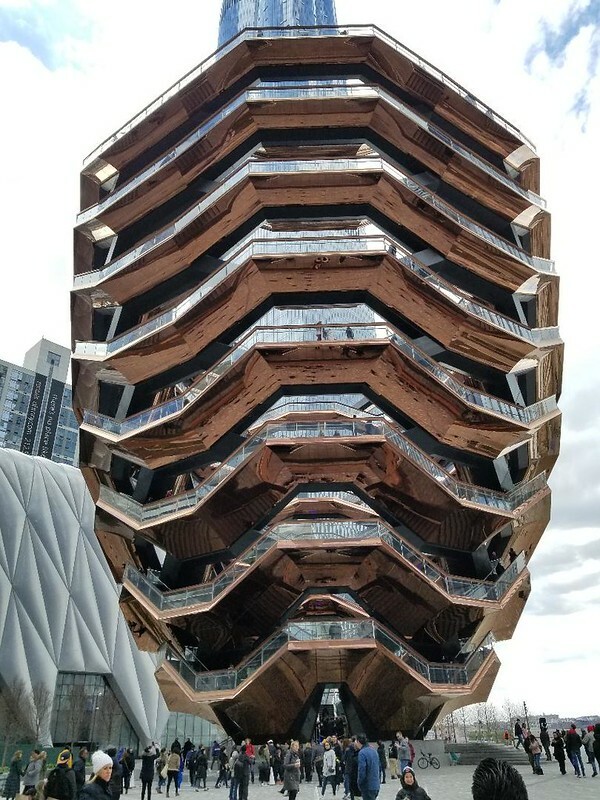 Vessel, aka Stairway to Nowhere, designed by Thomas Heatherwick. Hudson Yard, NYC. From this angle it looks like a giant shawarma. Image published by Mike Licht, NotionsCapital.com on 2019-03-19 15:53:55 and used under Creative Commons license.